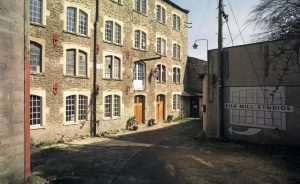 The Silk Mill is an artist studio project and gallery in the centre of the arts destination town of Frome. The gallery hosts exhibitions and a wide variety of musical and social events. 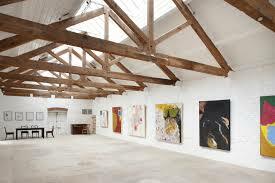 Silk Mill Studios and Gallery operates from one of the best preserved former textile mills anywhere in the south-west. It launched in May 2008 and is now a hub for exhibitions, concerts, workshops and a multitude of other events. The studios are open to the public during Frome Festival and other Open Studio dates. Damon & Kate Moore bought the Silk Mill privately from Notts Industries, a local car components manufacturer in February 2005. Until 1926, when it closed, it was a working textile weaving mill. The building then became an engineering works for much of the 20th century. It fell into disuse and disrepair in the mid-1970s, until its restoration. The silk and textile industry went through many changes of fortune facing major competition from abroad even in its earliest days. Silk Masters relied on technological improvements to stay ahead but these were unpopular and a source of constant tension in the workforce. The prolonged period of mourning or ‘widow’s weeds’, made fashionable by Queen Victoria, led the last great boom in the silk trade. During the First World War, a Royal Decree abolished this custom, after which the industry declined systemically. Thompson’s Mill was one of the last to close in Frome. In 1926 by the Widow Elizabeth Le Gros sold it to J.H.Nott and Sons of Swansea.